8D is structured approach to problem solving helps by having a systematic roadmap. In this way of solving problems, your team members will become efficient problem solvers saving a lot of time and increasing profitability for your organisation. “Before attending this course, I felt unsure as to what 8D was all about. I learned a lot about the whole 8D problem solving process and related tools during the training. After it was done, I felt more confident in being able to solve problems in alternative ways. The trainer was very good. Knowledgeable and experienced in the industry. I particularly liked the areas of the training that focused on business management and leadership.” – Lam Chee Weng, R&D executive, Ajinomoto Sdn Bhd. “Before attending this course, I lacked the knowledge to comport myself in a proper problem solving manner. During the course, I learned about the structural approach to tackle problem solving. After it was done, I felt like 8D was a great approach to be implemented in the workplace or even in daily life. The trainer was knowledgeable and full of experiences. The part of the training I liked best was the one that focused on different problem solving tools.” – Chan Zi Yin, R&D Executive, Ajinomoto Sdn Bhd. “I lacked understanding about 8D before going for this course. The training taught me a lot about how to have good corrective action in replying to the customer. After it was done, I was excited to apply what I had learned to my job. The trainer was good in delivering his content. Easy to understand. I particularly liked in the activity we participated in.” – Norli Mohamed Yaacob, QA Engineer, UCM Industrial Corporation Berhad. Report and course evaluation results compiled for iTrainingExpert.com by Rohan, Training Coordinator. To engage iTrainingExpert.com for your next training, please contact us at info@itrainingExpert.com. Completed on 7 Nov 2018. “I thought accounting was really too difficult a subject to understand. This training taught me the importance of interpreting a company’s financial statements to determine its health. After it was done, I really felt like I knew a lot more about the world of finance. The trainer is very knowledgeable.” – Choi Pek Koon, Assistant Manager, Monash University Malaysia Sdn Bhd. “Before this course, I was lacking in any basic financial knowledge, but the training taught me how to analyze the financial health of a company from its performance, budgeting and investments. After it was done, I felt as though what I had learned would enhance my skills in decision-making and budget projection to determine the financial performance of my company. The trainer was very knowledgeable in his field and made everything simple to understand.” – Norhafiza bt Amran, Executive, Sime Darby Plantation Berhad. Report and course evaluation results compiled for iTrainingExpert.com by Rohan, Training Coordinator. To engage iTrainingExpert.com for your next training, please contact us at info@itrainingExpert.com. Completed on 15 May 2018. It was a specially tailored program following some requests for clients who wanted to discuss about ways to encourage a more engaged workforce. The course was discussed between our principal consultant, Ms Sue Boey and Senior Consultant, Mr Philip on the different angles on the topic. After much deliberation, the course was put up ready to be introduced to the delegates who have been asking for this. The course attracted the attention of many delegates around Asia. Indonesia’s PERTAMINA sent two of the senior people to attend the course while the local MNCs, took time off their busy schedules to be with us. Philip handles the session well as he has 30 years of both public and corporate work experience. His speaks with confidence and conviction and made the training extremely revolutionary. To ensure involvement from the delegates, they were being asked to do a few things giving them a platform to contribute to the training. He makes sure that the training is relevant, practical and useful in all aspects of life. 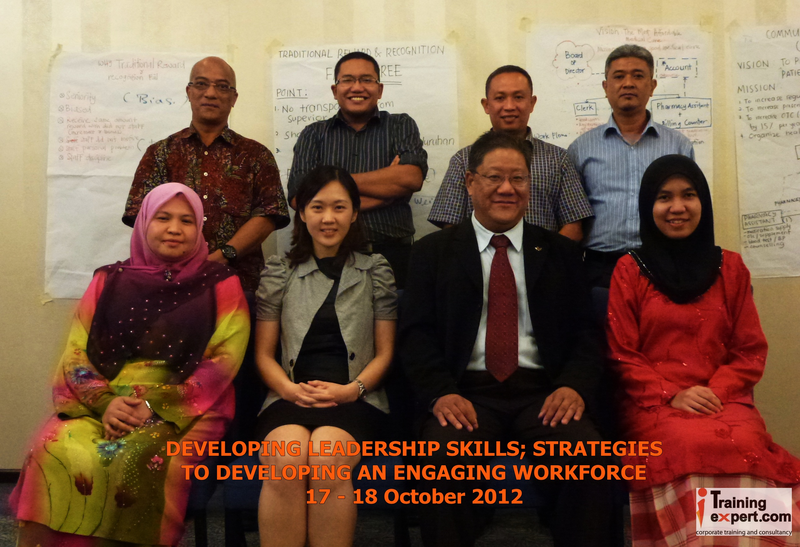 The course ended on 18 October 2012 with us bidding farewell to our foreign and out of town delegates. We received their verbal and written feedback and there’s what they have to say about the program. 1. What did you learn that was most valuable and your comments on the trainer? a) “Overall, the trainer is good at delivering the training and I have learned the importance of communication with my staff.” – Chandra Budi – Pertamina, Indonesia. Report and course evaluation results compiled for iTrainingExpert.com by Ms Yuna, Training Administrator. To engage iTrainingExpert.com for your next training, please contact us at info@itrainingExpert.com. “Before this course, I felt fairly well about the subject. After it was done, I felt really confident in my capabilities having been learned what it had to offer on strategic management. The trainer was good and very experienced.” – Ahmad Syaffiq, Associate Director, Yayasan Peneraju Pendidikan Bumiputera. “I was unsure of how to create strategic plan before this course, but this training taught me the concept and benefits of long-term planning. After it was done, I felt quite confident in being able to adapt what I had learned to my organization. The trainer was really detailed. I really liked the tips he gave, the discussions we had and experiences he shared.” – Elizabeth Ng, AM, Strategic Management, Mercedes Benz Services Malaysia Sdn Bhd. “I had no knowledge on this topic before attending this course. 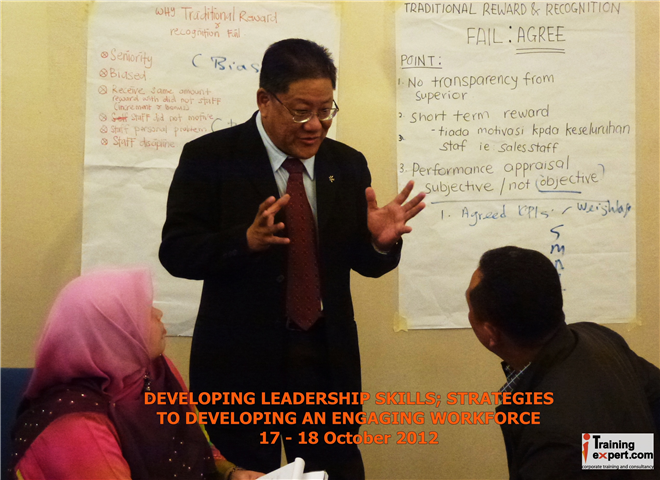 This training taught me the process of strategic planning through its crucial steps. After it was done, I felt like I knew better and was prepared to share what I learned in my work. 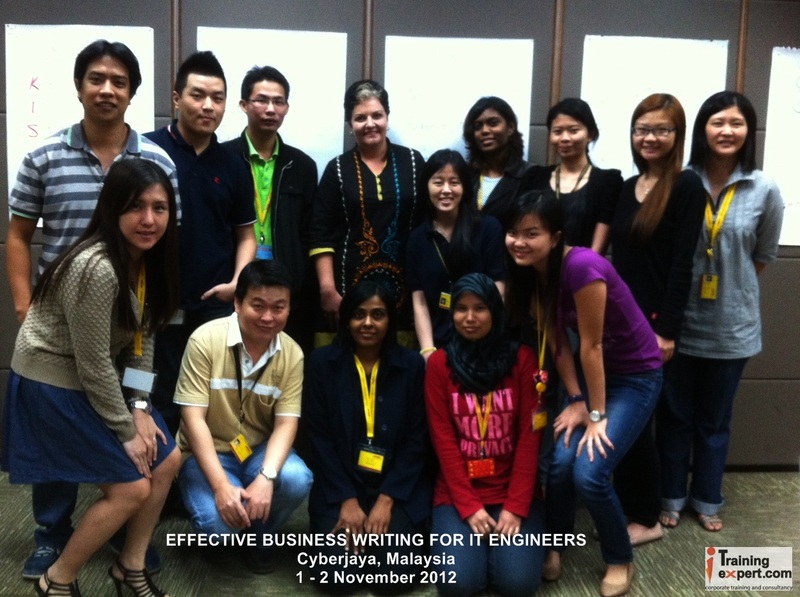 The trainer was very good.” – Tan Boon Teck, People Lead, Sitecore Malaysia. iTrainingExpert.com, one of the best training providers in Asia, is appointed by client, “Mesiniaga Berhad”, Malaysia’s #1 IT solution integration provider in Malaysia to conduct the training above for its talents and employers. A total 20 executives and managers from various departments attended this Advanced Writing course to enhance writing skills to be more effective, concise and succinct. The typical form of written communications were discussed including writing business reports and technical proposals. Overall the course was successfully deliver with rave reviews and full participants from all the attendees because of the very relevant, practical and applicable at work’s designed by communication and English specialist, Ms Sue Boey. “I learned more about the intricacies of grammar. The trainer, Sue Boey, is good.”– Norfadzly, IT Department. “I learned how to organize contents in all my written communication. The grammar aspects was also a great reminder.” – Patricia, Finance Consultant. Report and course evaluation results compiled for iTrainingExpert.com by Ms Yuna, Training Adminstrator. iTrainingExpert.com, one of the best training providers in Asia, is appointed by client, “Residence Hotels & Resorts Sdn Bhd” a Malaysian brand of hospitality services which expertise lies in the Management and Operation of Hotels and Resorts to that of International standards to conduct the training above for its talents and employers. It was a specially tailored program intended to be attended by a small group so that more attention can be given to the delegates. iTrainingExpert.com’s assigned trainer, Mr Megat handles the session well as he has very good experience in issues related to OSHA. He makes sure that the training is relevant, practical and useful in all aspects of life. Definitely some gems to bring up at the end of the sessions. Just take a look at what participants have to say about the program. 1. TRAINING PROVIDER iTrainingExpert.com is a leading professional training provider in Asia who appointed by DHL company, the global market leader in the logistic industry to tailored a customised training for effective business writing to it talented employees. The participant will be providing with different sample or template for bad and good emails on the above mention scenarios. 3. MAJOR ACHIEVEMENTS / COMMENTS ABOUT THE TRAINING This is the 8th batch that we’ve been doing for an international IT based company in Cyberjaya, the Multimedia Super Corridor (MSC) hub of Malaysia. iTrainingExpert.com’s Australian trainer, Ms. Herna who is backed by 25 years of corporate work experience conducted this course for a group of 15 IT engineers. 1.How did the course benefit you? Report and course evaluation results compiled for iTrainingExpert.com by the Training Administrator.